Antique French Ruby Red Casket Box with Fine Dore Bronze Mounts. 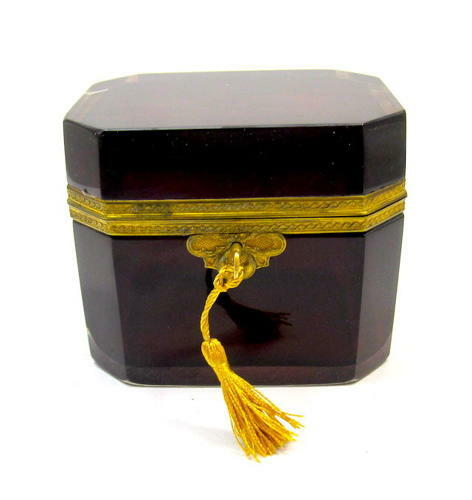 Antique French Ruby Red Crystal Glass Casket Box with Fine Dore Bronze Mounts. It Has a Beautiful Unusual 'Butterfly' Dore Bronze Lock.